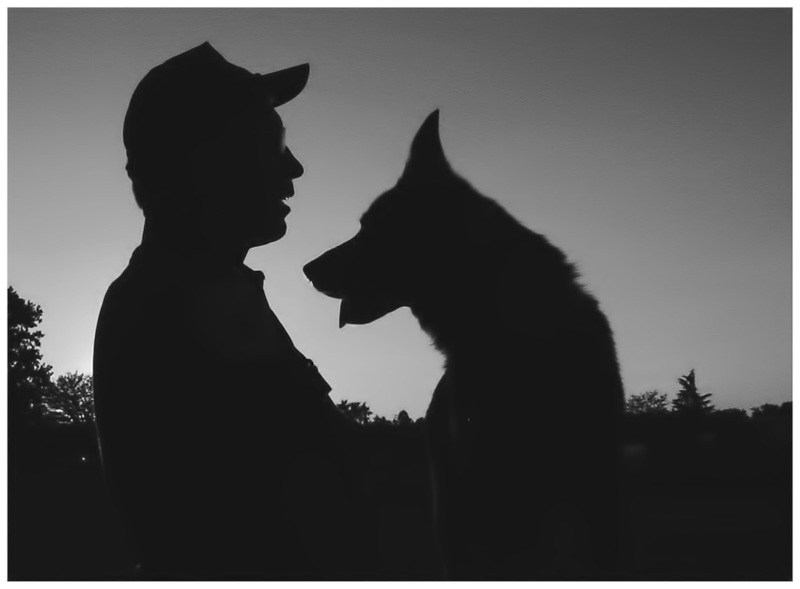 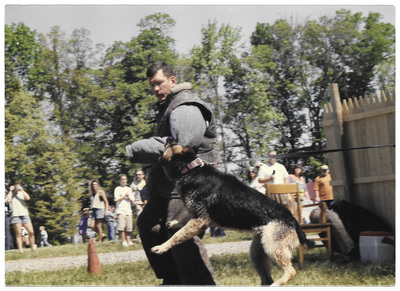 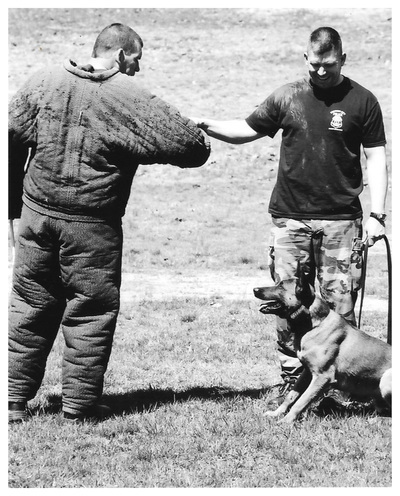 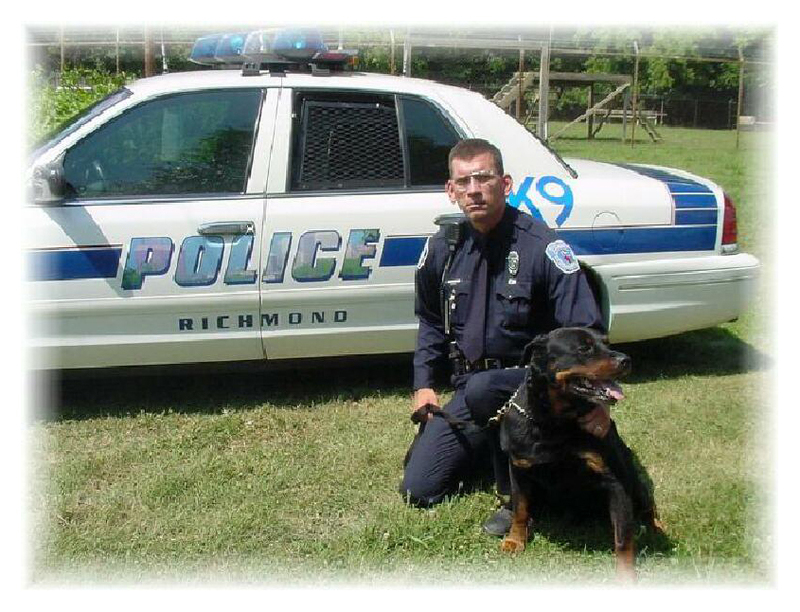 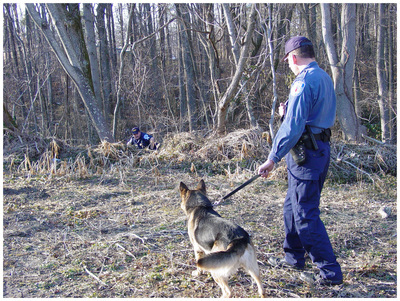 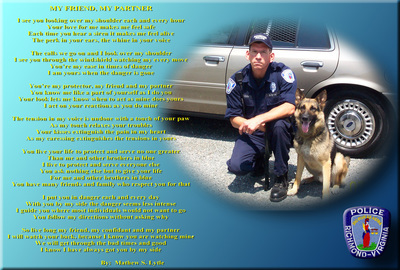 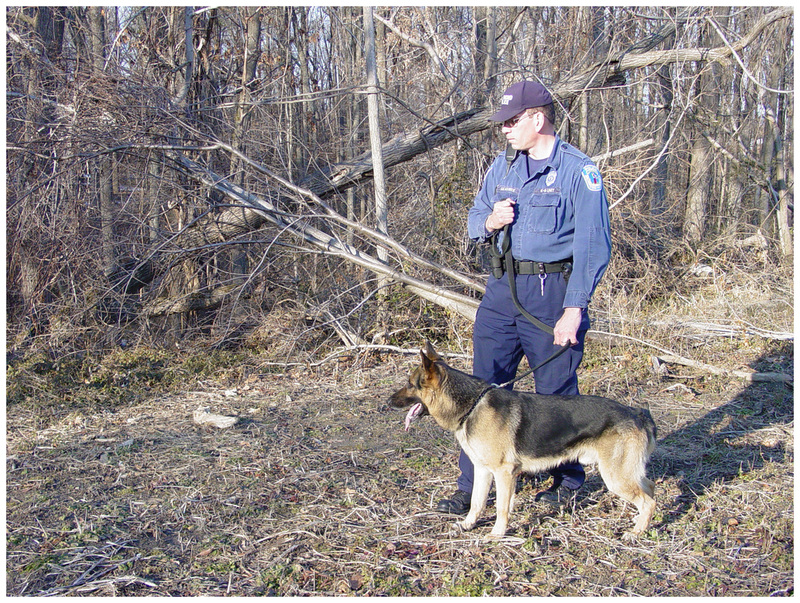 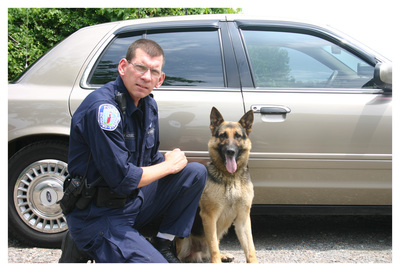 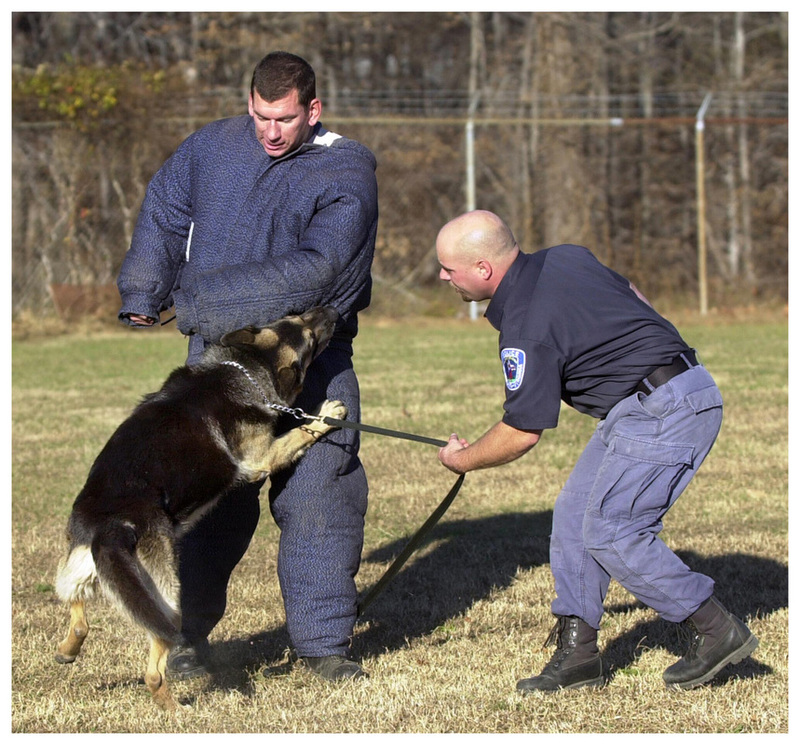 Officer Glenn Koontz and K9 Buster... 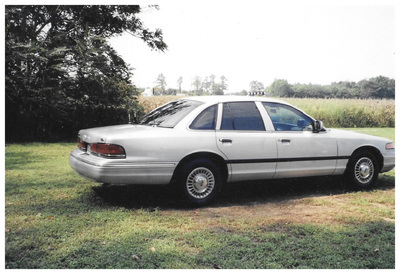 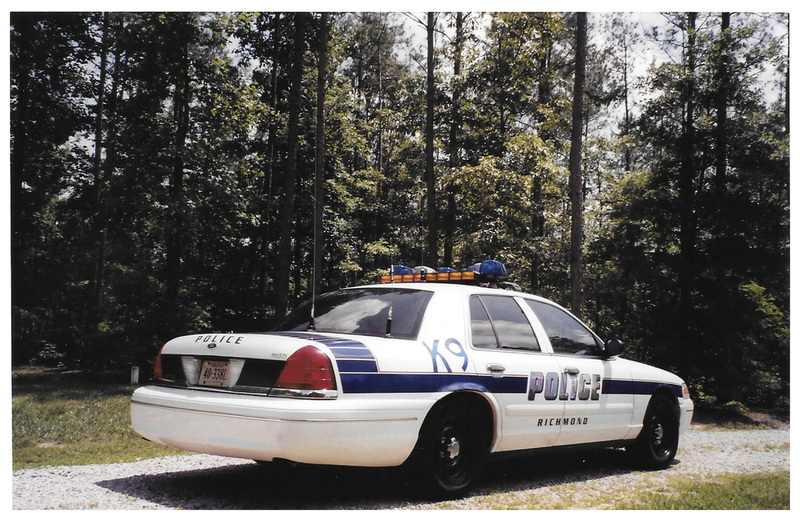 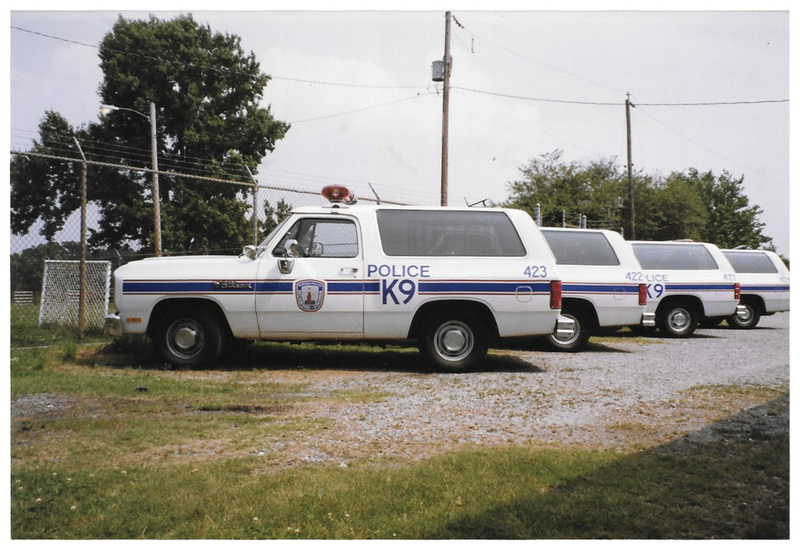 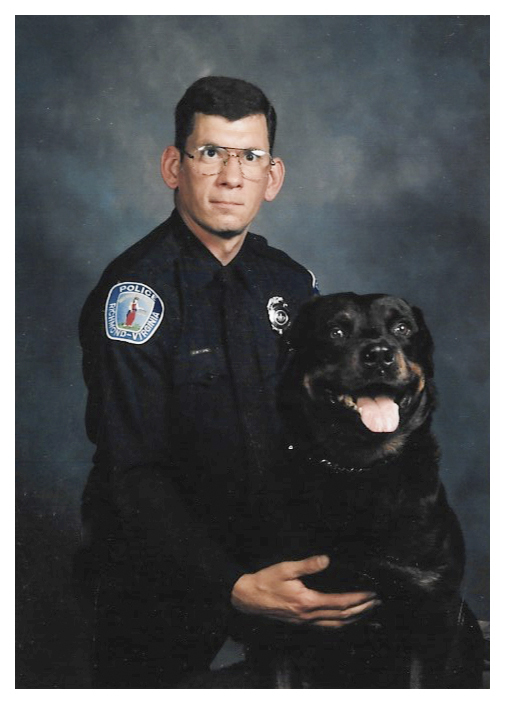 Officer Glenn Koontz was hired with the Richmond Bureau on August 9, 1982. 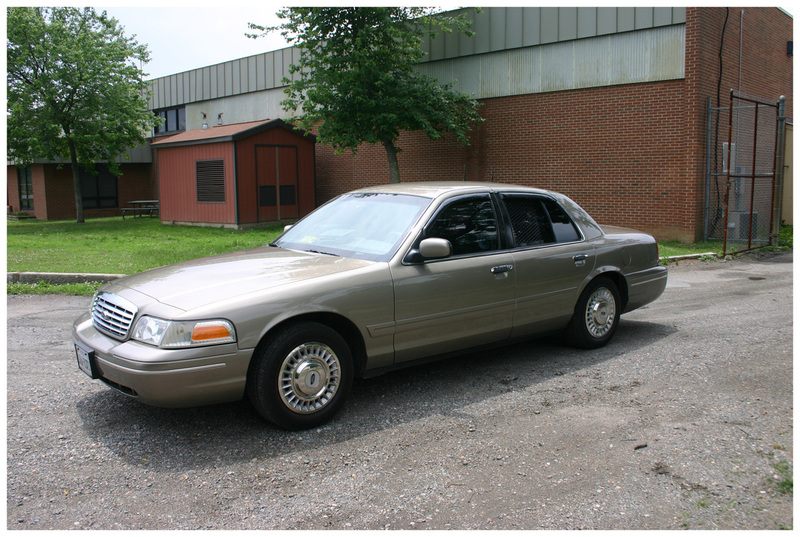 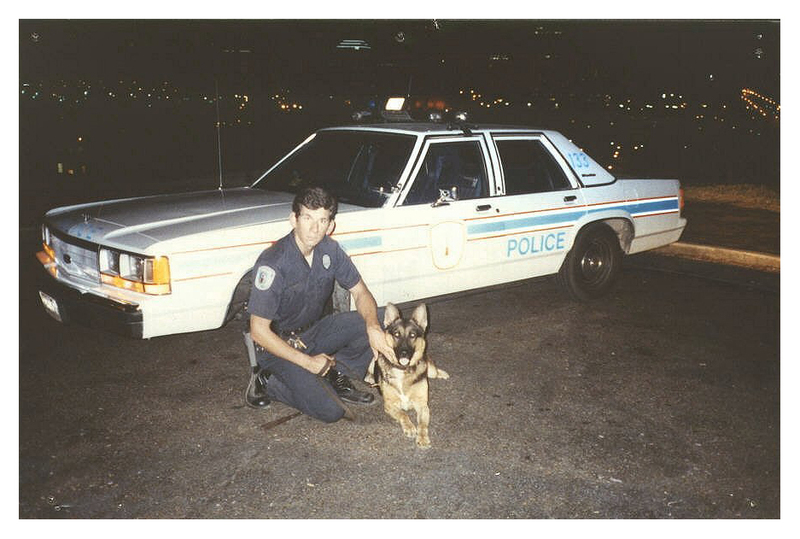 He was first assigned to the Uniform Patrol Division in Third Precinct. 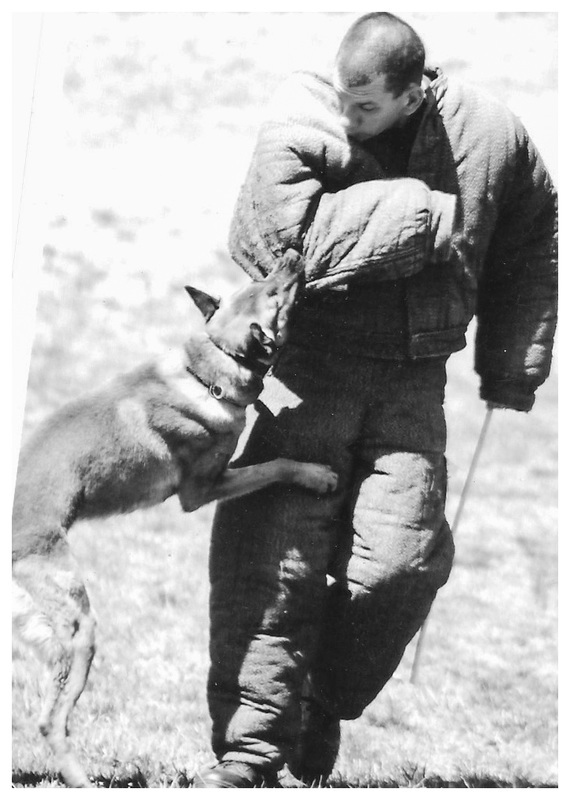 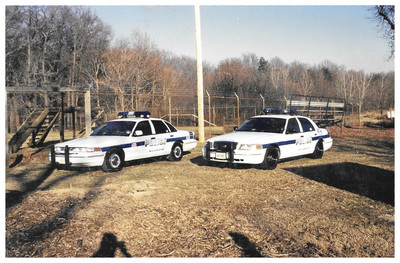 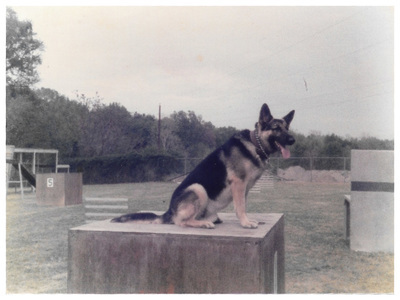 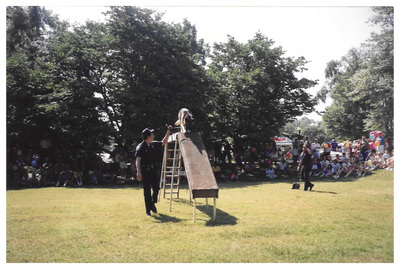 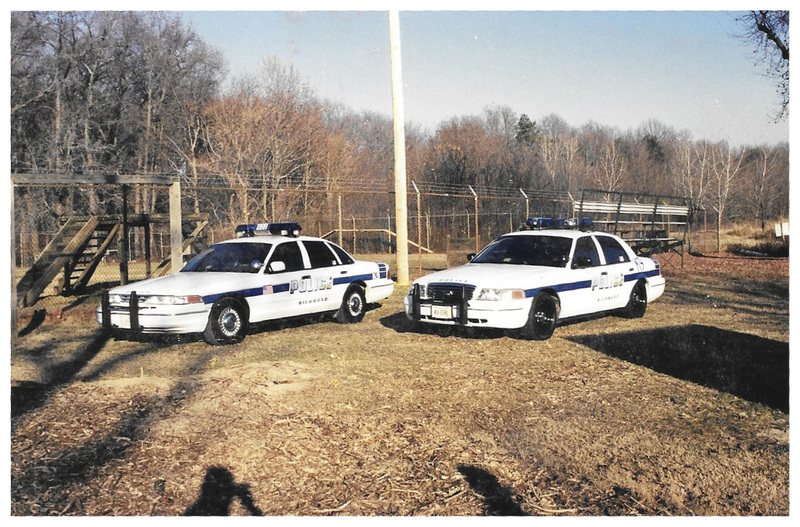 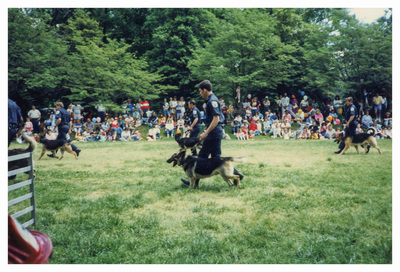 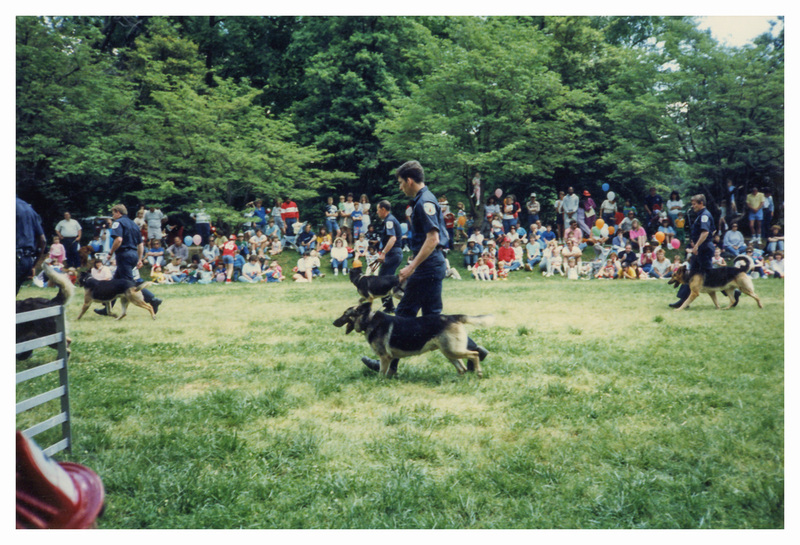 He was later transferred to the Canine Unit on March 4, 1985. 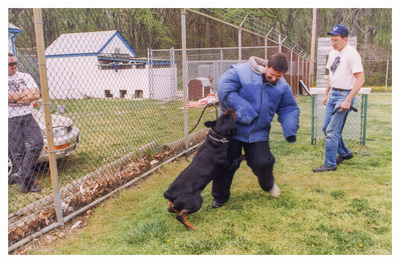 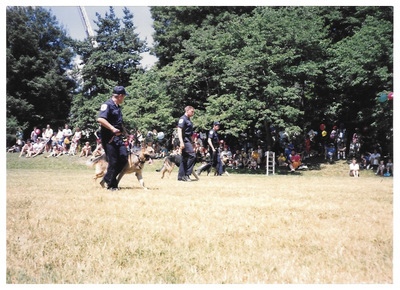 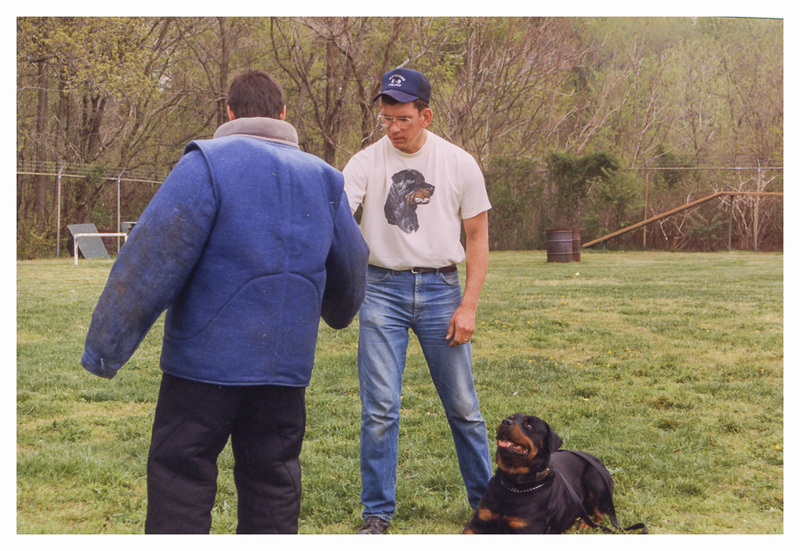 Glenn was instrumental in the first Law Suit brought about against the City of Richmond for the compensation of wages for canine care off duty. 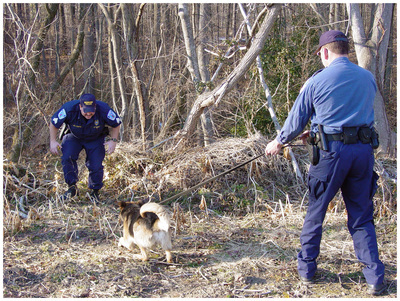 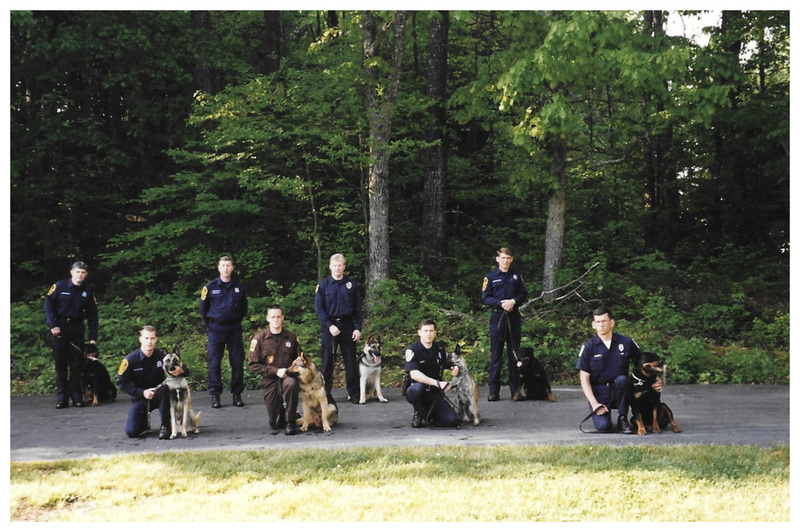 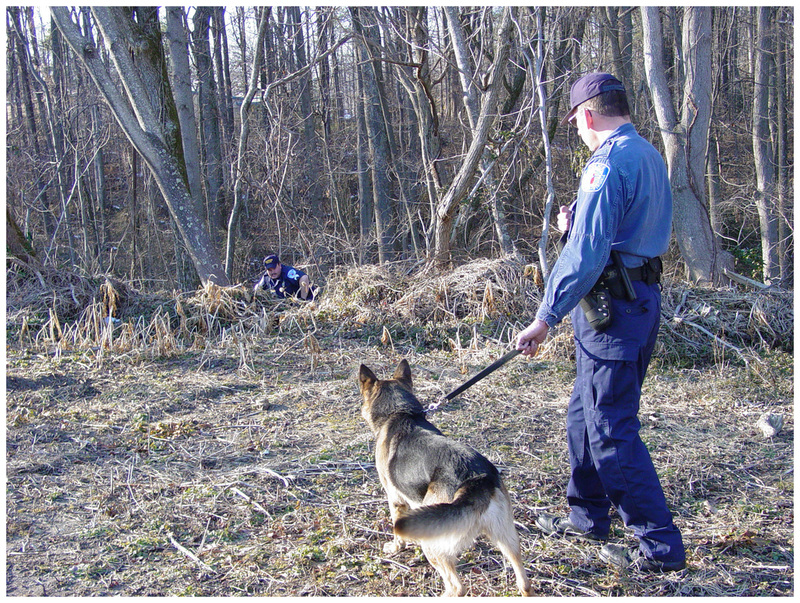 The Law suit was filed with City Attorneys office and through arbitration the members of the canine unit won an award of back wages and made way for the additional wage compensation for the care of police canine housed at home. 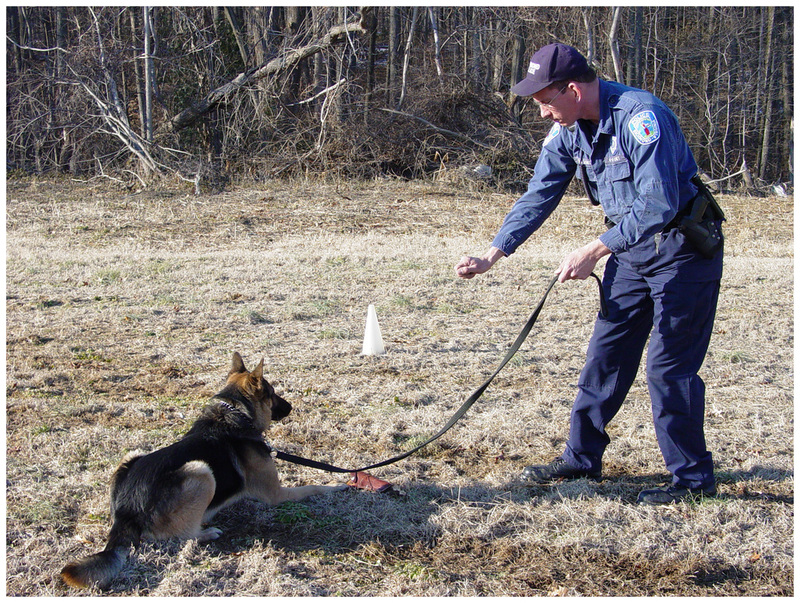 The compensation was for the care and maintenance of the canines while the officer was housing the canine at home and caring for it. 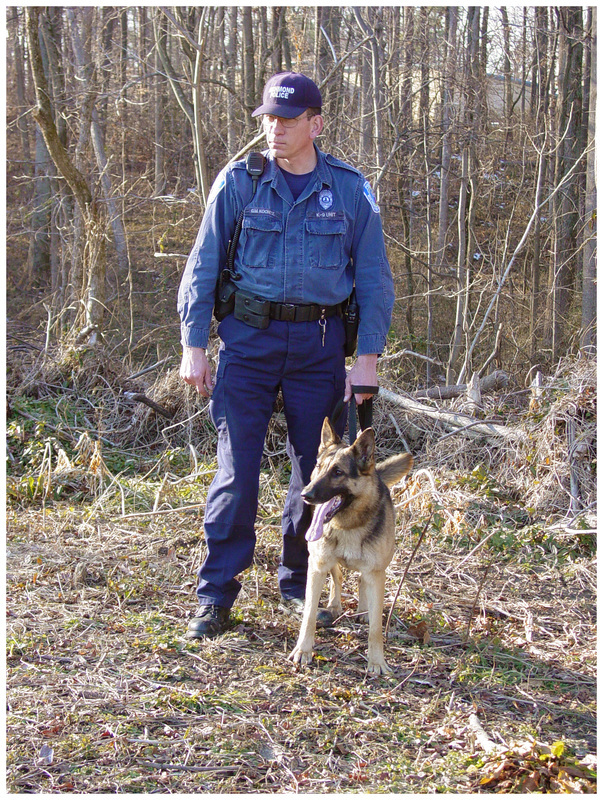 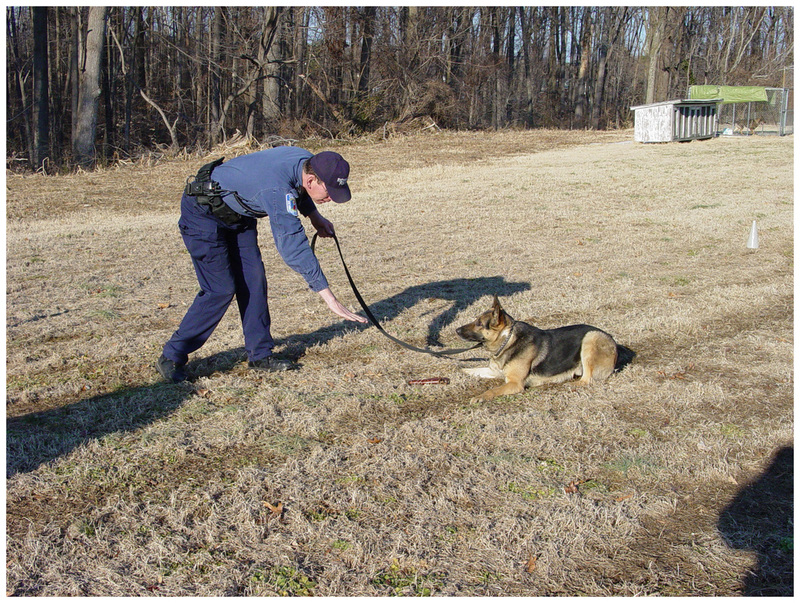 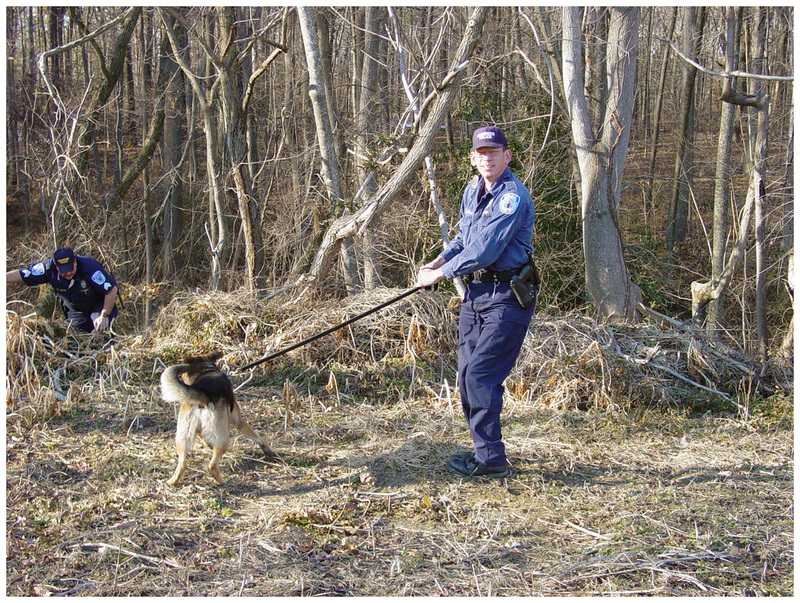 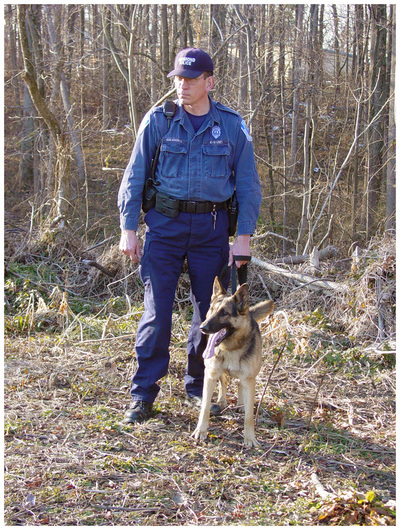 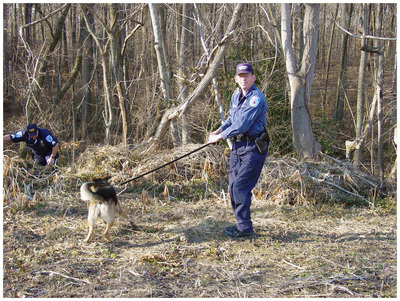 During Officer Koontz career in canine he has been assigned six canine partners.